Upstate New York is cold in winter, and Ms. Cooley makes you feel it. It makes me want to go curl up in a blanket in front of a fireplace to warm up, even though I’m reading here in sunny Florida. 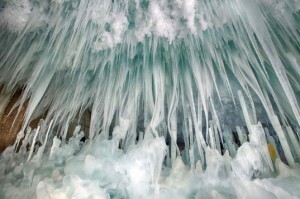 The story begins with the discovery of a body impaled on the ice at the bottom of a frozen waterfall. Ice Shear is a mystery that keeps you interested from beginning to end. The protagonist, June Lyons, is a local police officer, ex FBI, and single mother in a small town. Cooley’s characters are diverse and interesting, her plot twists and turns, and her settings make you believe you are there. This is a first novel by Ms. Cooley. I can’t wait for her next.